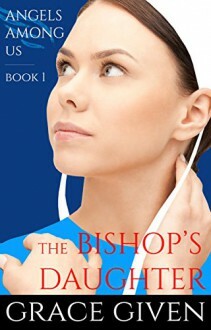 Young and full of life, Rebekah Stoltzfus’ parents expect her to settle down into a good Amish marriage, but marriage is the last thing on Rebekah’s mind. She is free-spirited and her favorite pastime is to walk across the pastures and dream of her personal goals to own one day own dressmaker shop. Her childhood friend Eli Stauffer and his best friend, Jacob Byler, both want to marry her, but Rebekah shrugs their advances of courtship off. When Rebekah finally relents and joins Eli for a late night buggy ride, she begins to see her childhood friend in a whole different light. Rebekah’s joy, however, is marred by a mystery. Prying eyes and strange happenings on the Stoltzfus farm threaten to undo her peace. Despite diligent search the mysterious imposter proves impossible to track. Is Rebekah’s life and future threatened as she believes, and does Eli know more about this mystery than he is letting on?